Smokers know that the ashtrays built-in to vehicles do not accommodate the volume of ash generated by most cigars. The Stinky Car Ashtray is designed to fit directly into your car's cup holder and secures huge amounts of ash in a convenient easy-to-use design. 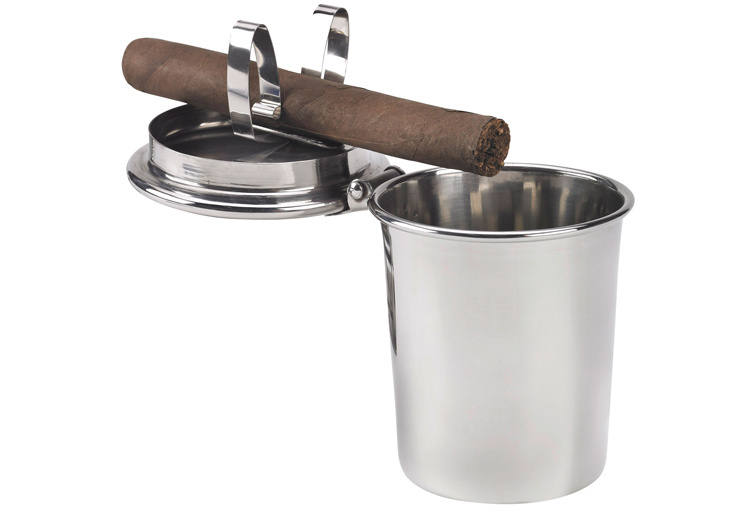 Features a stainless steel stirrup on the underside of its top which keeps your cigar secure while on the road. When not in use, its flip top lid closes tightly to contain butts and debris. A great gift idea for cigar smokers!